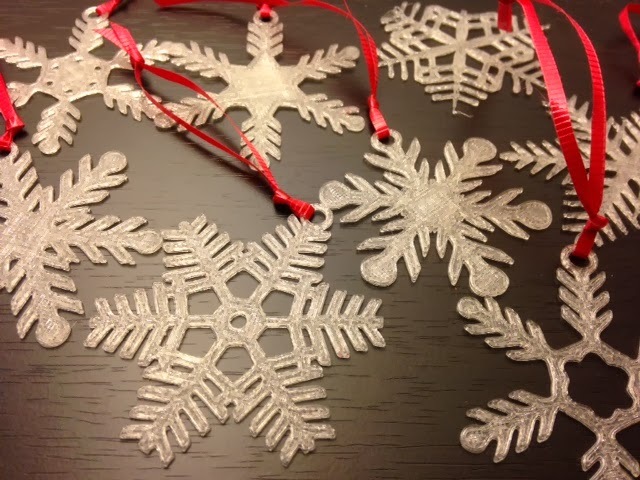 Settings: MakerWare .3mm/low on the Replicator 2 has each snowflake printing in 7-9 minutes. Technical notes: Although the .stl file above has eight snowflakes at once, we recommend printing these only a few at a time. Otherwise the ones at the edges can get a little messed up, even if your build plate is very level.